The very old nestled next to the very new, nature existing with man made structures. Photo was taken in Boston Massachusetts at sunset. The street light (still gas lamps!) 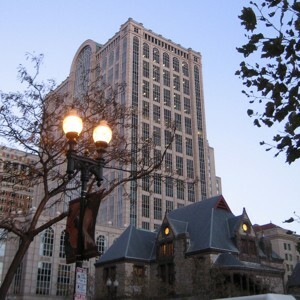 and church from earlier times are sitting right next to the highrise that used to be featured on "Boston Legal". Great city!